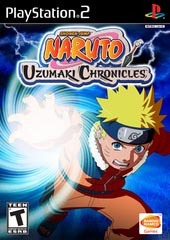 Naruto: Uzumaki Chronicles is the latest anime video game to arrive on the PlayStation 2 that is "almost" based on the Japanese cartoon series of the same name. The hero of the title is Naruto Uzumaki who resides in a secret Ninja village where he is called by his people to help uncover a plot that threatens the very village itself. With the help of his friends, Nartuo starts down a deadly road of cat and mouse in an attempt to save Konoha from a nefarious evil. The gameplay of Uzumaki Chronicles is a combination of adventure/arcade and fighting that has the player engaging in a variety of diverse missions that eventually lead up the main storyline of the title. Even the characters you encounter in the game are all intertwined with the story which definitely helps set the astmosphere of the game. In its essence, Uzumaki Chronicles is your thinking mans button masher as you defeat enemies, you are awarded orbs that can then be used for experience points and powerups. 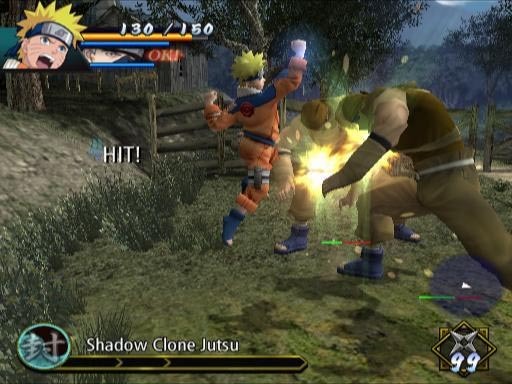 Naruto's abilities can be further augmented by the use of "skill plates," that can be used to increase your characters strength ,abilities and special attacks. 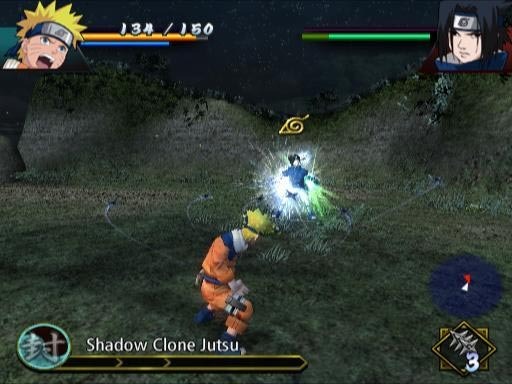 The combat of the title is relatively straightforward, however the gamer also needs to rely on other ninjas in the game such as Neji Hyuuga, Shikamaru Nara, Choji Akimichi, Sasuke Uchiha, and Kakashi Hatake. Each one of these characters has unique, overpowered attacks that can be used to assist Naruto in critical situations. You can also swap to your main character during the battles which does spruce up the battles in the game. One of the annoying aspects of the tile is the save feature that only allows you to save before or after a mission. This is quite frustrating on those difficulty missions and to compoujnt the situation, the cut scenes cannot be skipped which does become repeative on those difficult missions. In conclusion, Naruto: Uzumaki Chronicles is a strange game that heavily borrows on the anime series with above average gameplay. The title is unfortunately plagued with a few flaws, however the original story, enjoyable combat and great graphics will easily appease most gamers who love this genre.